Guy Fawkes' Night has always been a bit morbid. It's common practice to burn an effigy of Guy Fawkes on a bonfire before lighting the fireworks, which in itself is a bit grim. But when you consider that they have primary school children make this effigy as a group activity, it's worse. I have distinct memories of being in year 1 in primary school, about 5 years old, and Lucy - my now absolute best friend in the world who, at the time, I shamefully didn't like because she was different - was lying on a huge sheet of paper being drawn around as a template for this effigy. The effigy - made from cloth, stuffed and clothed - would then be burned at the primary school bonfire night. It boggles my mind. But I do love the fireworks. Of course, I have a strange story about that, too: I'm jinxed. No joke. Any time I hear them, I rush to the window and they stop. I wait for a few minutes, patiently, then walk away and they start again. And if I decide 'I'm not going to leap up because they'll only stop when I get there', they go on for ages. I give in, go to look, they stop. They're let off from early November up to the new year, but the only time I ever see them is bonfire night and new year's. I got so fed up with it that I finally convinced Seeg to go to the bonfire night at that old primary school of mine, and I was shocked that they actually went off. I wouldn't go again, though. As amazing as the display was - truly wonderfully choreographed - I don't feel £6 per person to stand in the cold for an hour for a 10-minute display is really worth it. But after nagging him for years to go, I'm satisfied. Anyway. That said, I love fireworks. 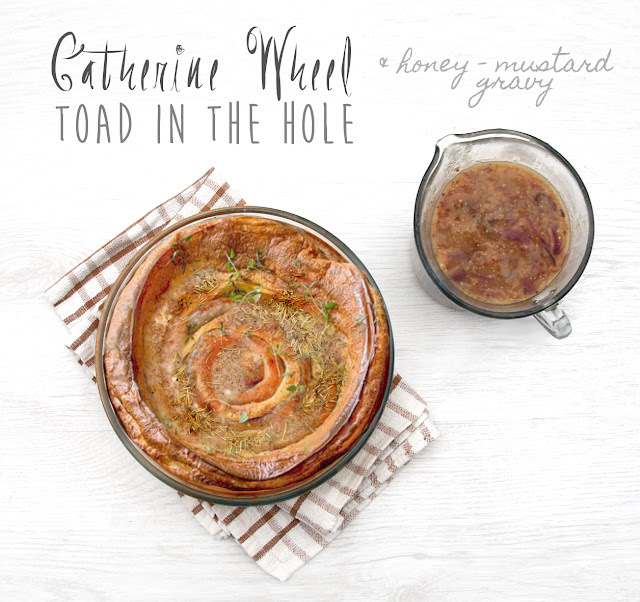 And that's where this Catherine Wheel toad in the hole recipe comes in: it's perfect for a family meal on bonfire night. And why 'Catherine Wheel'? Because the HECK smoky paprika chipolatas and honey-mustard gravy gives the old favourite a new and fiery twist. Okay, so not really fiery, the heat and spice is subtle, about 2 out of 5, but it is there. And for those who don't know, a Catherine Wheel is a spinning firework based on the tale of Catherine of Alexandria who was martyred for speaking against Emperor Maxentius and converting people to Christianity. 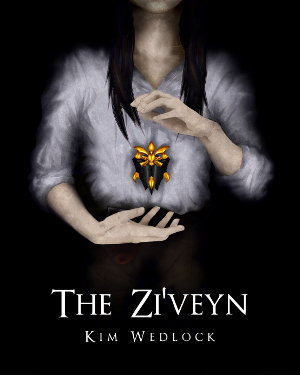 Ordered to death by breaking upon the wheel, it supposedly exploded as she touched it. A spinning circular firework was named after the legend. In this case, though, it's a string of chipolatas that have been unwound and squeezed together in the skins to make one long sausage. Made with HECK chicken chipolatas, this toad in the hole is much higher in protein than traditional recipes, is almost fat-free, and lower in calories, and the added chestnut flour gives it a wonderful autumn twist. 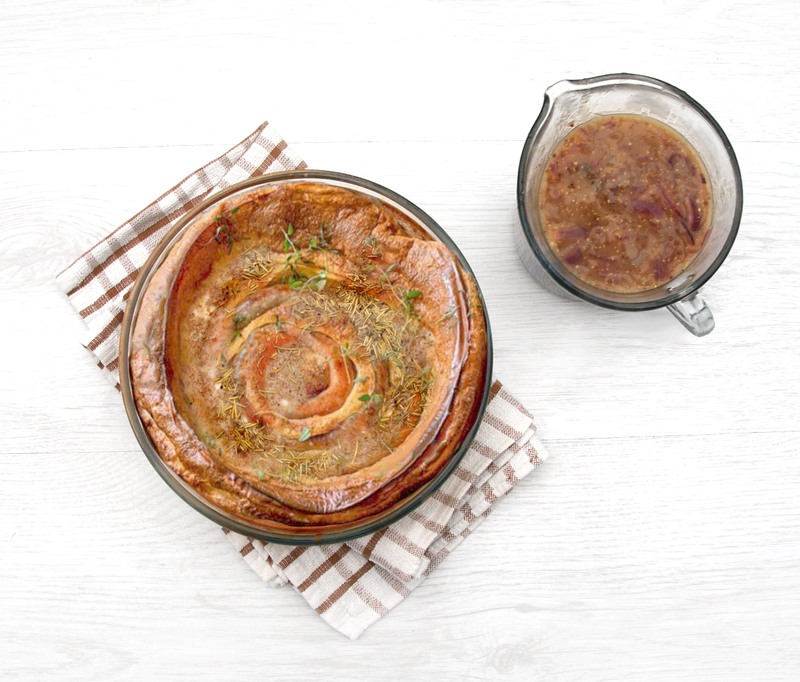 It's the perfect comfort food for cold autumn nights, but made more nutritious by using a mix of whole meal and chestnut flour alongside the usual plain flour, increasing fibre and minerals. Skimmed milk reduces the calories, but whole milk is more nutritous and can be used instead - you do need fat in your diet. I only opted for skimmed to keep the calories down, but in truth it only knocked off 150 from the total yield to the point that it wasn't really worth it. 1. First of all, make the batter. Combine the flours, milk, eggs and salt in a bowl until thoroughly mixed, and set aside for at least 30 minutes to thicken. 3. Take the sausages and untwist the links. Don't cut them. Instead, massage and squeeze the meat to fill the gaps to make one long sausage. It might seem thin and full of air pockets, but it will fill out and plump up flawlessly in cooking. Coil the two long sausages (the full pack will contain 2 strings of 5 chipolatas) in a large skillet or oven-proof dish. Mine was about 25cm. Oil and brown them in the oven for about 12-15 minutes. 4. Remove the pan from the oven and set the sausage aside. Pour the batter in, then put the sausage back and sprinkle with herbs. Return to the oven for 35-40 minutes - try not to open the oven in this period as the batter will sink. If roasting veg, put them in at the same time. 5. Chop your onion and fry in a frying pan over medium heat until they begin to caramelise, about 10 minutes, then stir in the flour, cinnamon and crumble in the stock cube. Stir in the water gradually to make a smooth sauce, then add the honey and mustard. Simmer for 5 minutes to thicken, and serve with toad in the hole. If you made it too soon, just turn the heat right down.